Malam itu, aku duduk sendiri di depan Ka’baah. Tidak ada agenda atau niat, selain untuk berada di situ. Juga tidak membawa keluhan atau permintaan khusus. Atau doa apa pun bersamaku. Terpekur bukanlah kata yang tepat. Karena aku tidak termangu. Aku hadir. Dipenuhi Cinta (kepada)-Mu. Labbaik allahumma labbaik. Tak ada adab atau prosesi yang ingin kuterapkan. Apakah diperlukan adab tertentu saat berhadapan dengan Kekasih? Mungkin ada, satu: menghadapkan diri sepenuhnya, menghamparkan diri seada-adanya aku. Hadir sepenuh jiwa dengan hati berbunga. This entry was posted in occasion, personal and tagged duduk, Ka'baah, ka'bah, keberadaan, kehadiran, Kekasih, mecca, Mekah, Tuhan on July 26, 2014 by Eva. 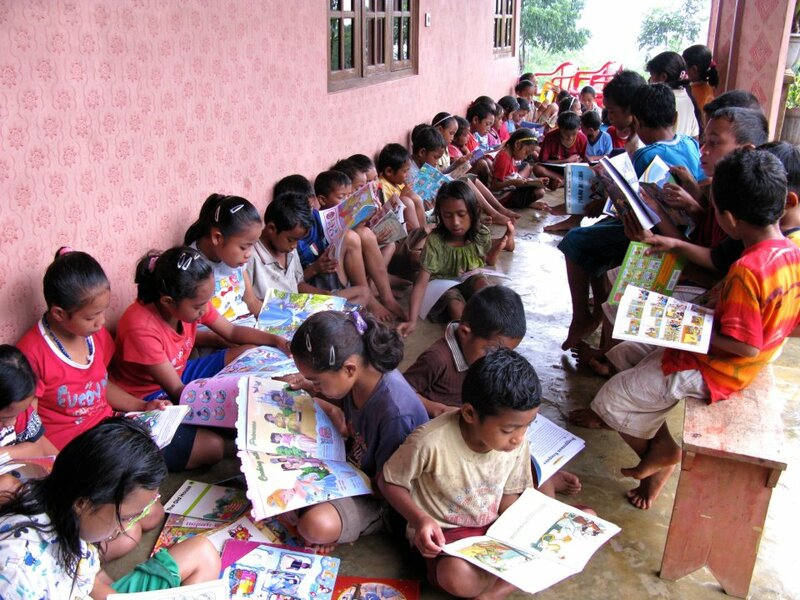 I have been supporting Nila Tanzil Petersen in her amazing initiative to set up community libraries in the remote areas in eastern Indonesia, named, Rainbow Reading Garden (Taman Bacaan Pelangi) since its inception. But it wasn’t until two years ago, when I went with her and another friend, Metta, to Flores to visit the libraries, that I realised what she was doing. The one in this picture is the library about an hour from Labuan Bajo town, which is an hour by smaller plane from Bali. This entry was posted in book, friend, Ibn Arabi, occasion and tagged book, community, east indonesia, flores, library, nila tanzil, rainbow reading garden, reading garden, taman bacaan pelangi on July 21, 2014 by Eva. Sometimes I have glimpses of how blessed I am. The words above provides such instance for me. 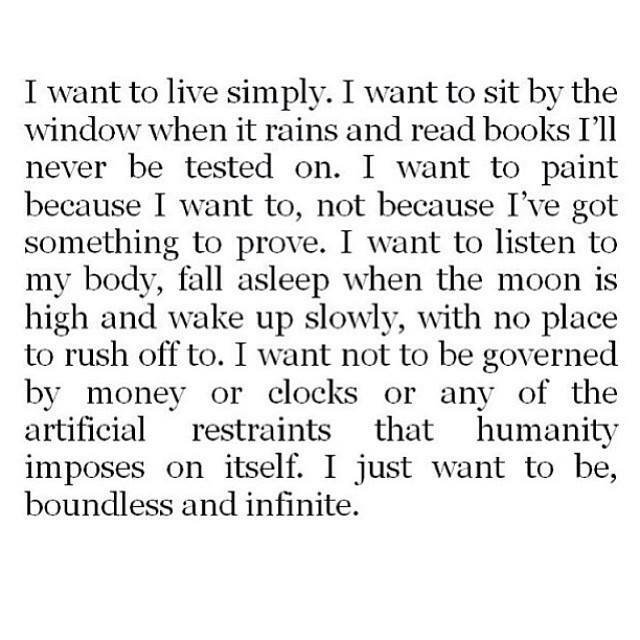 I read it and thought, “Hey, I am like that.” I live in a big packed city, work to make ends meet, and face various incidents in life, but I am like what the post says. This entry was posted in occasion and tagged blessed, by choice, freedom, fully, here and now, present, Ramadhan2014 on July 17, 2014 by Eva. This entry was posted in occasion and tagged doa, godaan, kuat, lemah, pandangan, Ramadhan2014, tatapan, Tuhan on July 15, 2014 by Eva. There was something I have just noticed about myself. I seem to have a(n even) lower treshold for small talks. Perhaps small talks is not the correct term. This entry was posted in occasion and tagged conversation, honest, honesty, precious, Ramadhan2014, real on July 15, 2014 by Eva. There was a question posed several days ago: If money is no object, what would you do? “Without any worries.” Isn’t that interesting? Might write more later. But this will do for now. This entry was posted in occasion and tagged money, money no object, Ramadhan2014, worry on July 15, 2014 by Eva. Life is always set to bring us a feast of experiences – each time with different colour, flavour and texture. There is always something to sit with, to bring about smiles and tears from the heart. This is a short post to dearly acknowledge that help is everywhere. As and when I need it, help is always extended, gladly, whole-heartedly, and lightly. Always. I thank all the angels in my life for this. I thank God, too. I thank you. And you, know that you don’t have to go through this alone. This entry was posted in occasion and tagged alone, help, Ramadhan2014 on July 11, 2014 by Eva.